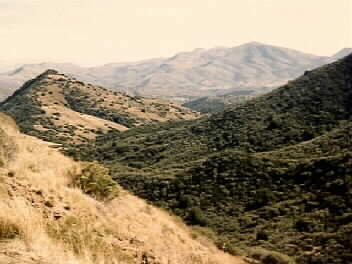 El Capitán Pass in the Pinal Mountains was used by the early Salado Indian culture, as well as the Spanish and Mexicans. It was much used by American fur trappers, such as Kit Carson, Ewing Young, James "Ohio" Pattie, Antoine Leroux and others. It was also crossed by the General Stephen Watts Kearny expedition during the Mexican War in 1846. The site retains much of its rugged character to this day.